PYD student teachers launched a successful program in 2015 at the Riverton Boys & Girls Club. Each week they shared a high energy and funky dance class with young dancers in the Riverton Park Community. Dancers filmed a video to submit to a national contest. Beginning in the fall of 2017, we’re excited to bring the kids to Casco Bay Movers Dance Studio for the real deal experience. Contact Tiffanie at the BGC for more info and registration. PYD dancer (now alumni) Emily McConnell and her friend volunteered at the Portland BGC in the 2017-18 school year in addition to her PYD outreach teaching hours at the Portland BGC. With her dedication to sharing her love of dance, a group of dancers were cultivated and the need to keep the class going was eminent. Contact Sarah at the BGC Portland for more info and registration. 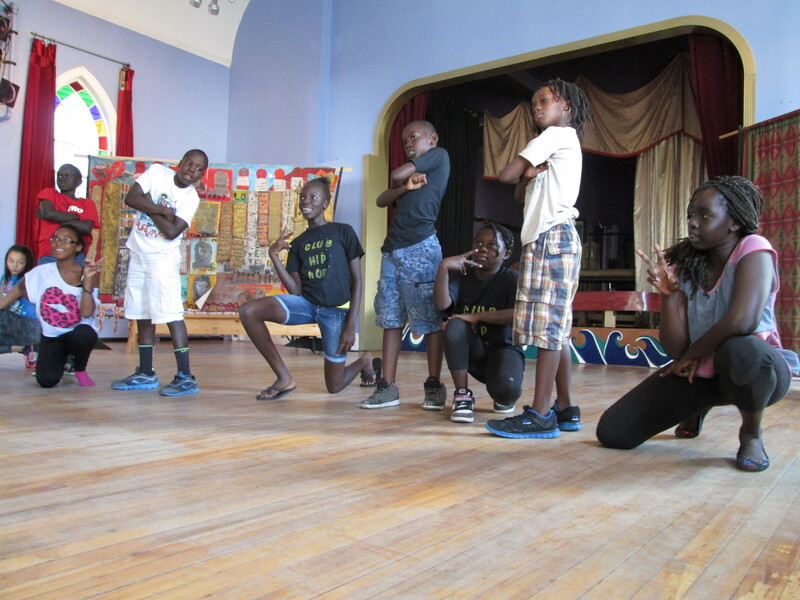 PYD student teachers and Outreach Director, Elizabeth Lau lead an ongoing hip hop class called Club Hip Hop on Friday afternoons at Mayo Street Arts in Portland, Maine. Club Hip Hop is focused on reaching kids and teens in the East Bayside community. Currently students are also bused from Front Street study center. Club Hip Hop performs locally and at the Mayo Street Arts Center. Children ages 6-16 are welcome to attend these free classes year round. PYD has been collaborating with Mayo St. Arts for many years and the kids have become a part of the PYD family! Club Hip Hop has performed in the PYD May Show, The Exchange & The Old Port Festival. For more info, pictures and video of Club Hip Hop check out their Facebook page. Our Free Dance Class program is open to all kids and teens who can’t afford to dance. There is NO application or requirements to meet, just bring your young dancer in on Saturdays at 11:30am. The program will culminate in a performance at the Portland Youth Dance Spring Show on April 23rd, 2019. On various Friday’s throughout the year the PYD team goes to STRIVE to work with the tweens.